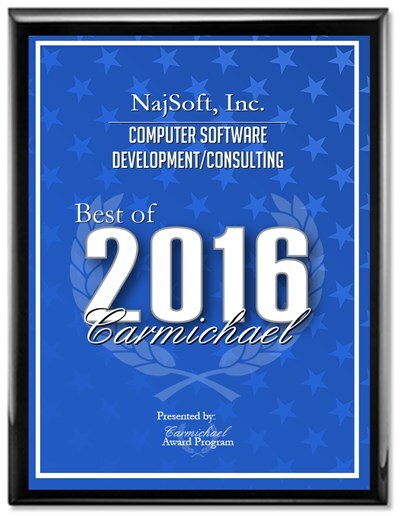 NajSoft provides expertise solutions to businesses that require technology but for whom technology is not a core competency. Focusing on software services, e-business solutions, system integration, application development and custom programming , we specialize in using enabling technologies that allow disparate systems to share information. Our existing customers continue to engage NajSoft in new business projects, underscoring NajSoft's track record for creating high quality solutions that meet and exceed expectations. NajSoft offers its core competency for successfully design and develop innovative solutions. NajSoft has a well-defined and mature application development process which comprises the complete Software Development Life Cycle from business case analysis to support of the application.